The American college town of Athens has a rich history that has brought together so many people from different parts of the world, and with them comes the flavors and tastes that give all the breakfast spots in this town a unique twist on Southern comfort food. Not in the mood to get up early and head on out for breakfast? 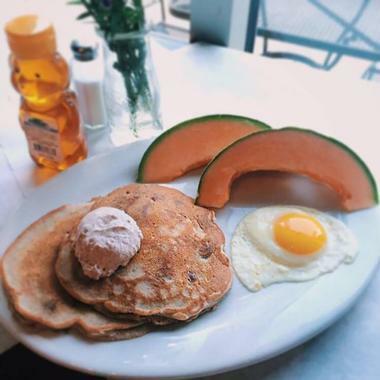 Not to worry – many of the restaurant have an extensive brunch menu that combines the nutritious simplicities of breakfast with heartier meals. 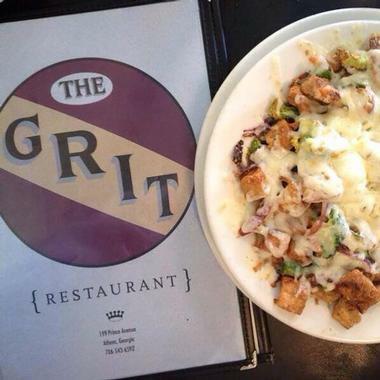 Diners who have dietary restrictions or just prefer vegetarian, vegan, or a gluten-free meal will find many places throughout Athens; one of the most popular vegetarian restaurants is The Grit. Knowing that everyone loves a good bagel, the Athens Bagel Company is a friendly neighborhood spot that serves freshly baked bagels any way you like. Serving delicious food right in the heart of downtown Athens, the cafe has won many awards over the years including the Athens Banner Herald “Best Bagel” and “Best Breakfast.” Open from 7:00 a.m. onwards on weekdays and 8:00 a.m. onwards on weekends, the Athens Bagel Company is a great spot for a hearty breakfast with family and friends or for a quick, nutritious meal before heading into work. Bagel types that are available include plain, everything, sesame, poppy, cinnamon-raisin, garlic, onion, salt, blueberry, jalapeno-cheddar, and honey-wheat. Offering fun and friendly Southern dining with a modern twist, Mama’s Boy Restaurant can be found in two prime locations in Athens. The amazing food is created with a variety of fresh ingredients. The restaurants are open every day from 7:00 a.m. to 2:30 p.m., and the breakfast menu is filled with appetizers and entrees that really hit the spot. You can start with some house-made cinnamon buns, banana bread, or fried green tomatoes served with bleu cheese dressing. Unique breakfast entrees on the menu include the pork taco plate made with house smoked pulled pork as well as the salmon cakes benedict, which is fresh Atlantic salmon cakes topped with poached eggs, capers, and chive hollandaise. 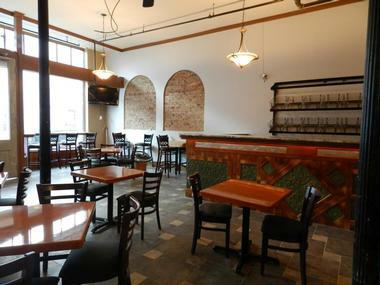 Donderos’ Kitchen can be found within Athens’ historic Cobbham District and is a full-service cafe that has been crafting culinary delights for the community for nearly ten years. 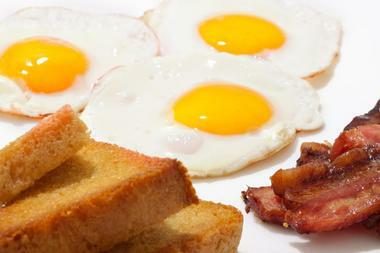 In addition to the extensive selection of baked goods, the cafe serves delicious breakfast and brunch daily. 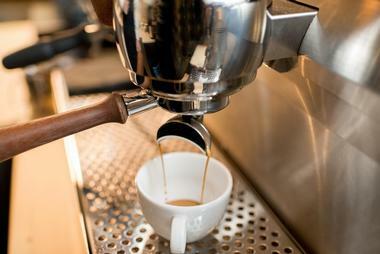 Diners can head over at 8:00 in the morning on weekdays and 9:00 a.m. on weekends. Vegetarian and gluten-free options are plentiful; unique items on their breakfast/ brunch menu include the noodle bowl, which is cold Szechuan noodles topped with tofu, or the house-made falafel wrapped with hummus and red onions. 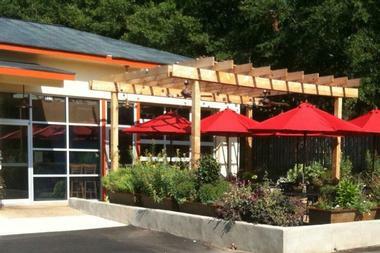 If you’re in Athens and looking for a hearty breakfast, head to Em’s Kitchen. 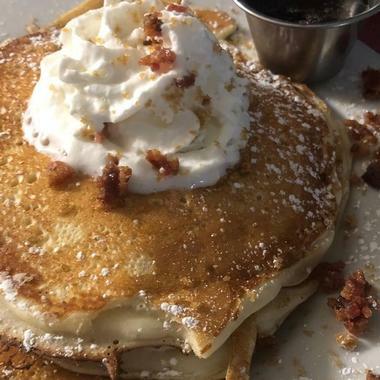 The family-friendly spot is open for breakfast from 7:30 a.m. to 10:30 a.m. on weekdays and has a Saturday brunch menu available from 8:00 a.m. to 1:00 p.m. Their daily specials are always delicious and freshly-made concoctions ranging from wraps to soups. For only $6.49 you can get a breakfast plate with two eggs, toast, a beverage, and your choice of bacon, sausage, turkey bacon, turkey sausage, country ham, honey ham, or veggie sausage. The brunch menu also offers a slice of the quiche of the day, which comes served with fresh fruit. Chef and owner Hugh Acheson opened Five and Ten so that the people of Athens would always have a place to revel in great food, drink, and company. Much of the food is inspired by Southern comfort food, with influences from French and Italian flavors and techniques that Hugh had been exposed to growing up. 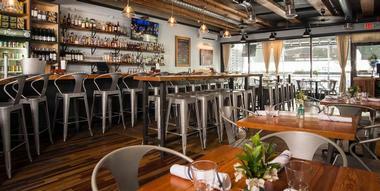 Titled “Restaurant of the Year” by Atlanta Journal Constitution, the restaurant offers a varied brunch menu every Sunday from 10:30 a.m. to 2:30 p.m. The menu is split into smaller and bigger plates, with concoctions such as braised lamb hash, pork belly tartine, and glazed chocolate doughnut holes. Heirloom Cafe and Fresh Market is a farm-to-table cafe that serves a weekend brunch concocted with ingredients sourced from local producers, farmers, and artisans. The cafe’s indoor/outdoor setting gives it a friendly atmosphere where people are invited to make themselves at home, have a good time, and enjoy the delicious food. Brunch is served from 9:30 a.m. to 2:30 p.m. and has a menu that changes seasonally based on what is freshly available at the time. The Pimento Cheese Plate is a great starter as the cheese is house made and served with preserved green tomatoes, candied pecans, and house saltines. Mains range from the smoked chicken salad sandwich and veggie burger to the pulled pork hash and buttermilk pancakes. 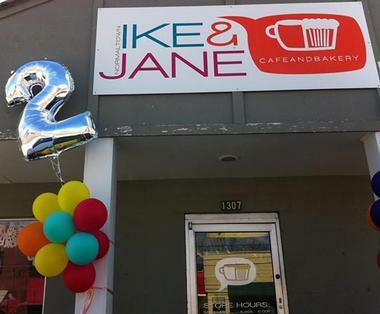 Ike and Jane is a locally owned and operated bakery and restaurant in Athens. All the food served at the restaurant is made freshly from scratch, giving it a flavor that’ll make you reminisce of meals you had with your family when you were younger. Diners can have breakfast Monday to Friday from 6:30 a.m. to 3:00 p.m., while breakfast is served all day on the weekends from 8:00 a.m. to 2:00 p.m. The breakfast menu has a range of breakfast sandwiches with popular options being the roasted jalapenos with bacon and the SOYsage and tomato. Serving up traditional favorites with an innovative twist, J. Christophers is the perfect spot for breakfast with family and friends. 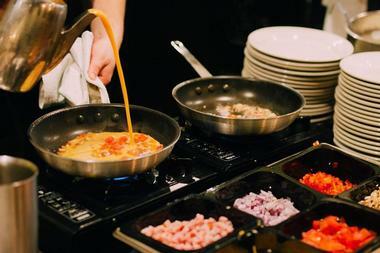 Their menu is separated into sections dedicated to healthier options, omelets, skillets, items off the griddle, and a few dedicated dishes for kids. The strawberry crepes are light, sweet, and filled with fresh strawberries, topped off with whipped cream. Healthier alternatives include the low-carb turkey sausage platter served with scrambled egg whites, fresh fruit, and whole wheat toast. 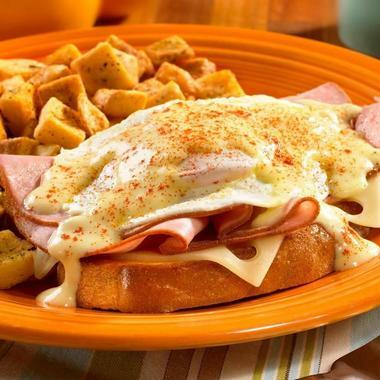 The “benny plate” is a brunch star and has poached eggs and Canadian bacon on an English muffin, all smothered in Hollandaise. Offering an upscale take on home-style, Southern comfort food, Mama Jewel’s Kitchen makes their guests feel like they’re family. Everything on the menu is made in-house and uses the freshest ingredients available; in fact, many of the dishes offered are prepared using recipes passed down within the family. Breakfast is served all day long on weekdays and happy hour is from 7:00 a.m. to 10:00 a.m.; during happy hour, you can choose one of four delicious breakfast sandwiches and coffee for only $5.00. 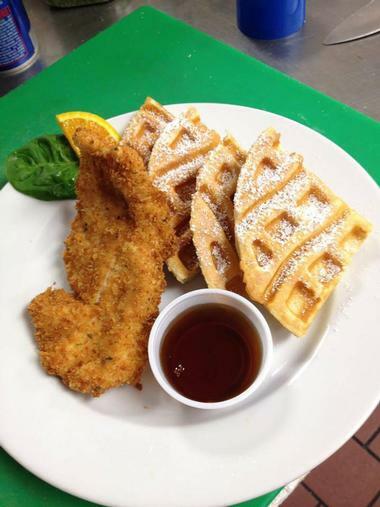 The weekend brunch menu has delectable entrees like crab cakes, chicken and waffles, shrimp and grits, and the Ooey Gooey, which is a biscuit sandwich made with fried chicken breast and jalapeno peach jelly. 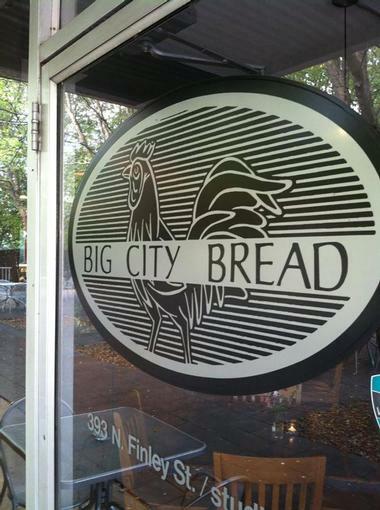 Open from 7:00 a.m. onwards throughout the week, Big City Bread Cafe offers a delicious breakfast or Sunday brunch. The cafe has been locally-owned and family run since 1998, working diligently to serve the freshest and most delicious meals to their patrons. All their breakfast plates such as the French toast with cinnamon-vanilla custard or the Big City Quiche are served with a choice of two sides, with the most popular being the fried potatoes and the biscuit. Sunday brunch can be enjoyed from 7:00 a.m. to 3:00 p.m. and has a wider range of options, including the biscuit sandwich or the Salmon Gravlax Plate with gravlax, red onions, and cream cheese. Everyone who dines at the Mayflower Restaurant will be treated to good ole Southern comfort food in a friendly atmosphere. The restaurant is one of a handful in Athens that has remained in the same location since its opening in 1948 and has been operated under the same owners, the Vaughn family. The Mayflower serves breakfast every day of the week and is open from 6:30 a.m. onward Monday to Saturday and 7:30 a.m. onward on Sunday. The breakfast menu has hot cakes, sandwiches, biscuits, omelets, and specials; popular choices include the country ham biscuit, the grits with cheese, and the Mexican omelet, which comes with eggs, sausage, cheese, green peppers, tomatoes, and onions. Serving a mouth-watering brunch buffet every Sunday from 11:30 a.m. to 2:00 p.m., the Porterhouse Grill is a favorite with locals and visitors alike. One of the best brunch buffets in the area, it only costs adults $16.95 and children 10 years old and under $8.95. 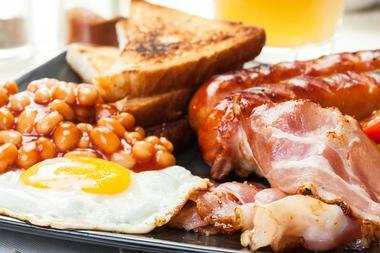 It’s a great way to start the day and you can eat to your heart’s content. 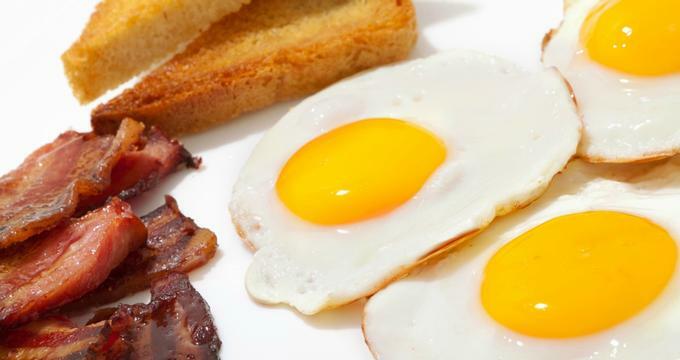 The buffet features traditional Southern breakfast food such as bacon, sausage, home fries, grits, biscuits and gravy, and three special entrees that change each time around. There are omelets and pancakes available made-to-order as well as a prime rib carving station. End off the perfect meal with a slice of cheesecake or decadent chocolate cake, and don’t forget to try the brunch mimosa as well! The Saucehouse BBQ in Athens is a fun and inviting restaurant offering one of the best, most authentic barbecue experiences for those in the area. 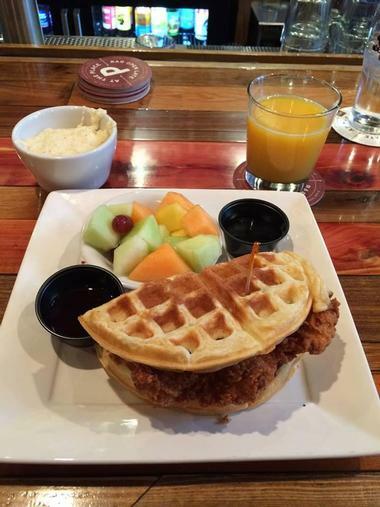 The restaurant may be a newer addition to Athens’ growing list of places to eat, but its Southern style breakfast menu has quickly grown in popularity. Every item on the menu is made from scratch; biscuits are made fresh every morning while the eggs come right out of a shell. Famous breakfast meals are the Saucehouse Big Breakfast, the Hangover Helper, Brisket Biscuit, and Hot Mess. Breakfast is served Wednesday to Saturday from 6:30 a.m. to 10:00 a.m. and on Sundays from 6:30 a.m. to 11:00 a.m.
South Kitchen and Bar serves a delicious brunch menu every weekend from 10:00 a.m. to 3:00 p.m. 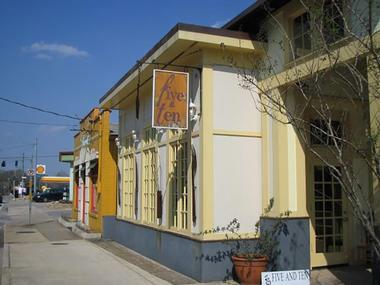 The award-winning restaurant offers creative Southern cuisine that is unique and flavorful, giving diners a little glimpse into Athens’ hospitality and history. Meals are a hearty portion of delicious concoctions ranging from shrimp and grits to the fried chicken skillet, though there are many vegan and vegetarian options as well. Dishes that are extremely popular with regular diners include the huevos rancheros skillet, the green tomato benny, the brunch burger made with certified Angus beef, and the tantalizing shrimp and bacon burrito. Stricklands Restaurant and Catering is an award-winning restaurant that prides themselves on serving Southern food done right. 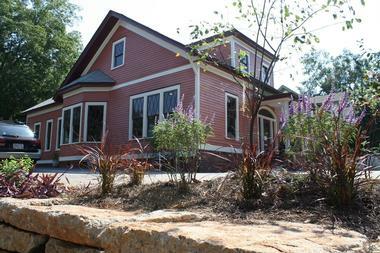 Often voted the “Best Breakfast in Georgia,” Stricklands goes beyond filling your stomach with good food by providing a fun and family-like atmosphere to relax and enjoy yourself. For just a few dollars, diners can eat heartily from a varied choice of items. 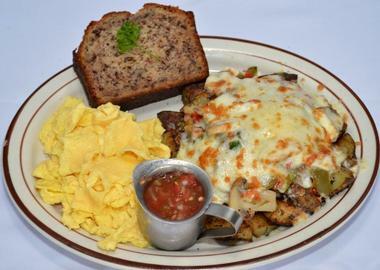 All breakfast plates come with eggs and a choice of breakfast meat, grits or potatoes, toast, or biscuits and gravy. The breakfast egg sandwiches are great for people who are on the go and can be made with ham, steak, pork, or chicken. Serving breakfast and lunch all day long, The Big Family Cafe is a great place to dine at when everyone you’re with is craving something different. Each day, the cafe bakes various items and serves them hot and fresh. The breakfast and lunch menu are extensive and have everything from eggs-your-way to the famed Cajun Ortega Burger. The Big Family Crepes is a savory treat with scrambled eggs and sautéed mushrooms and onions wrapped in two crepes with cheese and hollandaise sauce. Those who are eating healthy or have dietary restrictions can go for a cup of fresh fruit, granola with fruit and yogurt, the garden burger, or an avocado sandwich on multigrain bread. The Grit offers an all-vegetarian menu that continually surprises their diners with how fun and delicious vegetarian food can be. Seasoned with onions, peppers, garlic, and other flavorful ingredients, the meals are fresh, balanced, and will exceed the satisfaction of even the pickiest omnivorous eater. The restaurant promotes specials daily but one of the most popular items on the breakfast/ brunch menu is the “El Rey,” which is a flour tortilla layered with pintos, scrambled eggs or tofu, salsa, cheese, and sour cream. Breakfast is served from 8:00 a.m. to 11:00 a.m. from Monday to Friday, and the weekend brunch is from 10:00 a.m. to 3:00 p.m. Serving food that is Southern inspired and globally influenced, The Pine Food and Drink is an Athens’ restaurant that focuses on delicious cuisine in a friendly, community-like environment. What really makes the Pine unique is that all the meals are made on their custom wood-stoked oven, which adds a distinct flavor to all their dishes. Their Sunday brunch menu includes three mouth-watering flatbreads that are definitely worth trying: the house-made pepperoni, the fire roasted chorizo, and the roasted artichokes and goat cheese, which is topped with sun-dried tomato pesto and mushrooms. And what’s brunch without a mimosa? Other cocktails include the manmosa, the house-made bloody Mary, and the mango guava paloma. The Place is a family-owned, laid-back Southern eatery serving classic comfort cuisine made from a collection of family recipes that have been passed down over the years. Their Sunday brunch starts at 10:00 a.m. and resembles a family gathering filled with laughter, conversations, and food made with love from the freshest ingredients available. 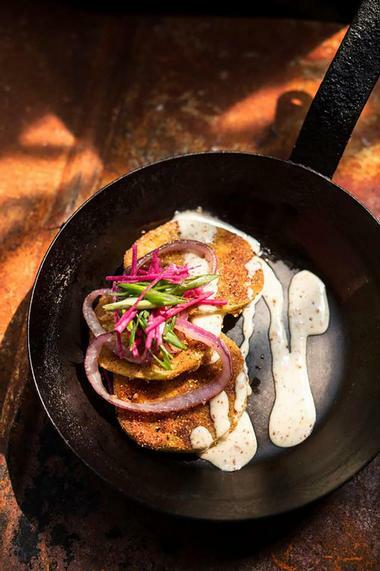 The Place is one of the few places where diners can indulge in Southern-style fried green tomatoes topped with chow chow. Other items on the menu include Southern bruschetta, roasted sweet potato salad, the hand pressed burger, and their spicy chicken and waffles.